- TNA Slammiversary '09 (June 21) = In a dark match, Jesse Neal & Rhino fell to the British Invasion (Neal replaced Eric Young in the match). - TNA Final Resolution '09 (December 20) = Neal, Rhino, & Team 3-D lost an "Elimination" Match to Pope D'Angelo Dinero, Matt Morgan, Hernandez, & Suicide. - TNA Sacrifice '10 (May 16) = Ink Inc (Neal & Shannon Moore) lost to the TNA World Tag-Team Champs, The Band (Scott Hall & Kevin Nash). - TNA Slammiversary VIII (June 13, '10) = Neal defeated Brother Ray. 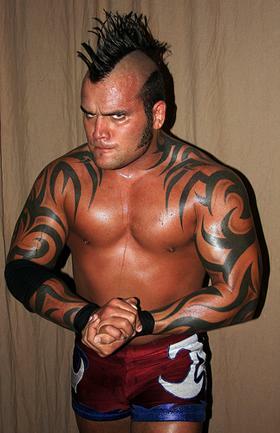 - TNA Victory Road '10 (July 11) = Neal lost a "Three Way" Match to Brother Ray. Brother Devon was the other participant. - TNA Bound For Glory '10 (October 10) = Ink Inc took down Orlando Jordan & Eric Young. - TNA Final Resolution '10 (December 5) = Ink Inc lost a "#1 Contenders" Match to Beer Money. 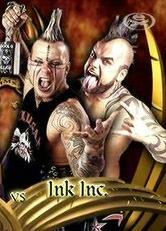 - TNA Victory Road � (March 13) = Ink Inc lost to the TNA World Tag-Team Champs, Beer Money. - TNA Lockdown � (April 17) = Ink Inc won a "Four-Way Tornado Steel Cage" Match over The British Invasion, Scott Steiner & Crimson, and Orlando Jordan & Eric Young. - TNA Sacrifice � (May 15) = Ink Inc fell to Mexican America (Anarquia & Hernandez). - TNA Bound For Glory � (October 16) = In a dark match, Ink Inc lost to the TNA World Tag-Team Champions, Mexican America (Anarquia & Hernandez). - TNA Turning Point � (November 13) = Ink Inc & Toxine lost to the TNA World Tag-Team Champs, Mexican America (Anarquia, Hernandez, & Sarita).